I am not a world traveler, but I’m building my resume towards becoming a better one. Three years ago, I went to Wales and London for 10 days. Two years ago, I went to the east coast of Australia for two weeks. I visited Melbourne, Sydney, Brisbane, the Whitsundays, and the Great Barrier Reef. When I choose my next travel spot, I initially didn’t want to got to the same places I went in the past few years ago. It would be a long flight again and I thought I should add Asia or a Scandinavian country to the travel bucket list. Instead of travelling to Sydney again I decided on its neighbor New Zealand. Something about New Zealand truly spoke to my tortured soul that needed healing. I was tired. I love my work and my job, but it took its toll on me and after two years without a break, I needed to lose myself in a world where everything was clean, fresh, natural, and most importantly fun. I love the outdoors and taking in awe inspiring vistas and views. Seemed like New Zealand was definitely the place to go. The motto for New Zealand’s travel board is “100% Pure”. I started my trip on day one, May 2016, and took in the South Pacific Ocean at Hot Water Beach. The fresh air in my face and the cold ocean water washing against my feet was paradise and I live in San Diego. I could tell that the air had more bite, more depth, and more wonder. 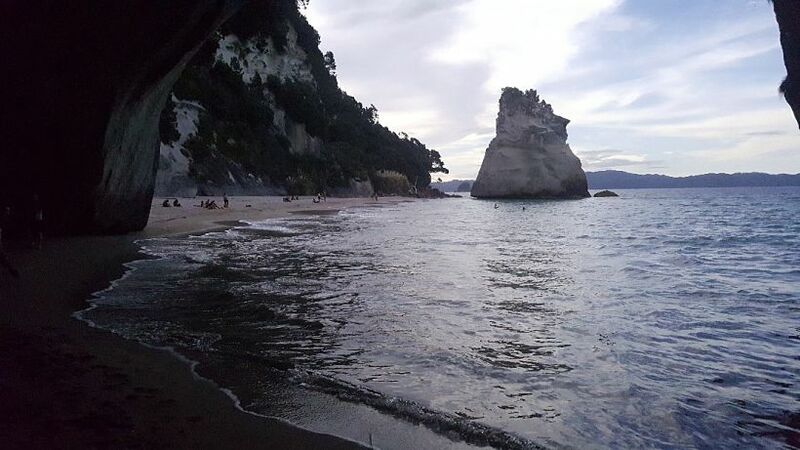 Perhaps the wonder was the giant rock in Cathedral Cove or the makeshift hot tub made of sand on the beach. It could be the new Canadian friends I made that helped dig the 10-foot-wide hot tub in the sand, mixing geothermal hot water and cold surf water into a soothing pool. Another reason I travel is for cultural experiences. One of the first things I saw and experienced was the entire Maori cultural experience and feast in Rotorua. When invited to a village, a group of tourists had to elect a leader or chief and sing a song to the tribal party. The tour bus driver James, found it easy to convince me to be the chief. Fair enough. We then choose a song that everyone could easily learn on the 20-minute drive to the village, “The Lion Sleeps Tonight” by the Tokens. If there’s video of it somewhere, please tell me, because I don’t have it. Then the ceremony where the chiefs from each group, touch noses to noses, and are placed in forefront for the welcome ceremony, also known as the haka. A haka is a traditional war dance. It is a very intimate ceremony, with loud chants, foot stomping, waving of spear like weapons, and war dancing. During the entire ceremony the men will open their eyes very wide, stick out their tongues, and make loud guttural sounds from their belly. This is the Pūkana. There is no laughing because it would disrespect the ceremony, their culture, and heritage. People have been asked to leave who couldn’t control themselves. I was very determined to not make a sound during the ceremony and concentrate very hard on each performer so that they might choose me. During this ceremony, one chief is chosen to come out to retrieve the ceremonial peace fern. The performer will swing their weapon in a ceremonial form of intimidation. We were all told during the ceremony, the chief that is picked, gets to lead their group to eat first, sit front and center to watch the cultural show, and gets preferential treatment all night. The chief of chiefs is quite possibly “the manliest man”. I would have preferred to get a trophy for my mantle with that inscription but I did not and that’s ok. In consolation, all the ladies on my tour group kept calling me Chief for the rest of my trip. 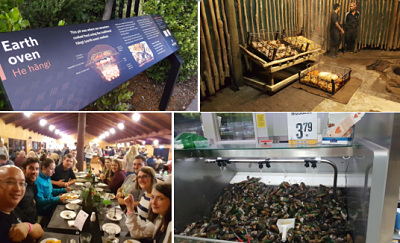 Shown below are pictures of a Hangi, a traditional Maori dinner / cookout for visitors to their village. The food is not too different from a traditional Thanksgiving meal; there’s turkey, chicken, lamb, potatoes, cranberry sauce, salad, seafood. The meat is cooked underground on hot rocks with steam. The vegetables are placed on top of the meat and covered with flax matting. The food is cooked for several hours. For something that consists of so much meat and protein, and because of the way it is prepared in an underground oven, it’s actually the healthiest approach to cooking. There is no oil or grilling needed, but naturally heated in the earth as it was traditionally done. The green lipped mussels from the surrounding oceans around New Zealand were also delicious. I’ve had my fair share of seafood in my life. Oysters, mussels, shrimp, clams, and scallops are just a small subsection of the varieties I’ve tried. But the green lipped mussels tasted amazing. I could tell that they were a product of their clean and unadulterated environment. In Rotorua, geothermal activity is high. There is a strong sulfur / rotten eggs smell throughout the city. There are lots of natural hot springs and bubbling mud pools. You can actually see the natural gases being vented from the earth, like little clouds of cotton candy floating everywhere. The Maori take advantage of this by cooking in these hot areas. A common traditional Maori custom is to boil eggs in the boiling geyser pools. It takes about 8 minutes to make a perfectly boiled egg. Early on in the trip, I got a craving for some noodles. It was getting colder and about to be winter and I just tried to hit a bunch of golf balls into Lake Taupo to try and win $10,000. 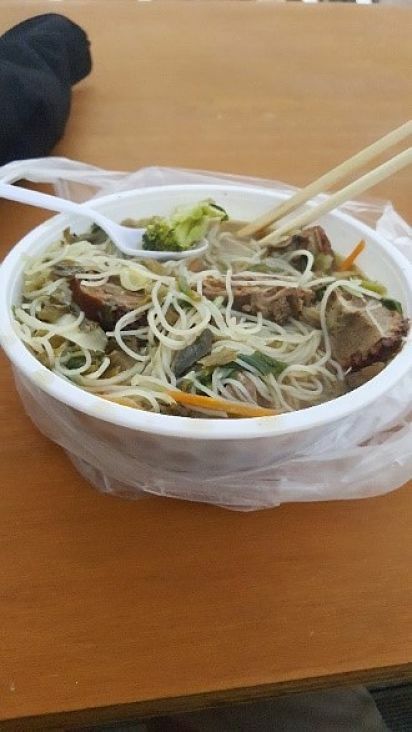 So I decided to go for comfort food with some roast duck noodles. The duck was juicy and tender and the broth had delicious vegetables. It really hit the spot. Growing up in California, I’ve been trained on how to put on a proper picnic. In New Zealand I attempted to do exactly that. While everyone was shopping for pasta and sauce for dinner later in the hostels and snacks to eat while on the tour bus, I went a different route. I bought some grapes, some soft cheese, a sandwich, and a fine New Zealand Marlborough Sauvignon Blanc that I couldn’t easily get in the States. One could say that the wine was absolutely the most important part. If I could come back to New Zealand, it would probably be a wine tour. In the South Island of New Zealand, it started to rain and I started to get cold. I needed to eat something to warm up again. I choose something that was hearty and just good comfort food: ribs & chips. They were cooked to perfection as they were super tender and juicy. In New Zealand they have kiwis. A kiwi could be a bird. A kiwi could be a bitter green fruit that we get in the states. 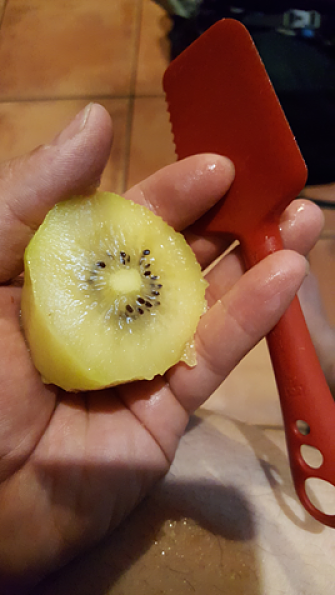 Or a kiwi could be a golden kiwi, something so much sweeter and juicier than any other kiwi fruit that I’ve ever had. The taste is not tart or bitter at all. The flesh is softer. The skin is thinner. I wish I could have brought hundreds of these home with me on the flight home. It almost has the texture of a peach. As I went deeper into the South Island, more rain came down. It felt like it was a December rainy day for me and not mid-May. At least there were more roast dinners in the South. This roast dinner was part of the stay package at the famous Mahinapua Hotel located between Hokitika and Ruatapu on the west coast. The Mahinapua hotel is a famous stop for the Kiwi Experience South Island bus tour. The pork, chicken, potatoes, peas, carrots and a dinner roll were so good. Oh, and that gravy… oh my goodness so much good gravy. I really couldn’t have asked for anything more. Well maybe a costume party at the hotel bar. 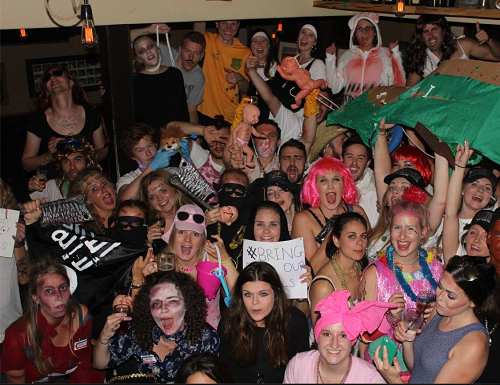 A custom for the tour was to have a big costume party at this stage of the trip. Tonight’s costume theme was “bad taste”. So during my trip, I met a lot of people who cooked in the hostels. I felt very lazy when I was not cooking with my fellow travelers on this trip and I simply ate out because it was convenient. I had fish and chips, ribs, or the hostel’s bar dinner special, or a Roast Dinner. 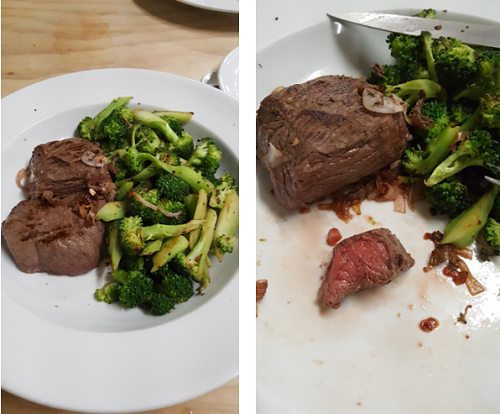 I wanted to have New Zealand venison, so I decided to do it myself and I cooked it in a hostel kitchen. I purchased two previously frozen, medium sized, New Zealand venison medallions, allowed to reach room temperature. Apply cooking oil to both sides of the medallion. I had to search around the hostel kitchen for some olive oil because I had forgot to buy some at the grocery store. Add salt and pepper liberally to the medallion. I had to scour the hostel pantry for this too. Sear each side of the meat for 3 minutes for medium rare. Allow medallions to rest for 10 minutes. I served the venison with some cut up broccoli stir fry. Saute sliced shallots with 1 clove of minced garlic. Add broccoli (cut into bite sized pieces) and stir fry until tender for about 5-10 minutes. Season with salt to taste. I wasn’t sure I cooked it right but luckily there was a gentleman cooking who was surprised to see a good piece of meat in the hostel kitchen. I offered him a bite of the venison and the look on his face was all the reassurance! One thing I was very determined to do on this trip was carve a greenstone necklace or Pounamu. Certain pieces of greenstone were actually recognized by the Maori as having their own spirits, which chose their wearer, then it is the duty of the carver to release the shape and symbol that it yearns to become. Its really not proper to carve and give to yourself. I had a motive to carve this for a friend who needed a little luck to get through things. The process and work that I put into the carving was pure joy and fun. 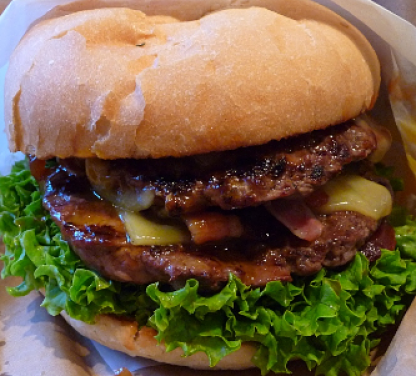 One of the last things I ate in New Zealand had a cult following: a hamburger. A hamburger is a hamburger unless it’s a Fergburger in Queenstown. When eating food in a different country, a city of adrenaline junkies, especially one that is beautiful, you expect the livestock and food from the animals to taste different. The hamburgers at Fergburger as well as the fast food restaurants in New Zealand were amazing. The flavor you just can’t fake. Animals are grass fed and aren’t in crowded pens. It’s how we all wish our food can be. C is for cookie and it’s good enough to have a cookie bar to sell them warm. The group of friends I made had to constantly go back to Queenstown’s Cookie Time bar because they were addicted, and quite possibly because the cookies were made of crack. I was without my silicon mat and cookie baking tray, so this was going to have to do. Maybe I’ll retire one day and open up a cookie bar in San Diego next to a really good street taco shop. When you plan a trip, you have certain expectations. You want the trip to go well. You might plan to see certain landmarks or do certain activities. The one complete unknown on a solo trip, especially a solo trip to New Zealand, was not knowing the people I was going to meet on the bus. You can’t plan that. And that was ultimately the thrill. I owe a great deal to the people at Kiwi Experience for helping me remove pain out of this trip. I could have traveled on my own pace, researched where to go, rent a car, learn to drive on the correct side of the road, and not have seen and done as much as I did. This wasn’t sponsored by them, but with the experiences that I shared with my new friends from around the world, it was at least worth a mention. My next trip is going to be amazing but it’s going to pale in comparison to this one. Who wants to go? 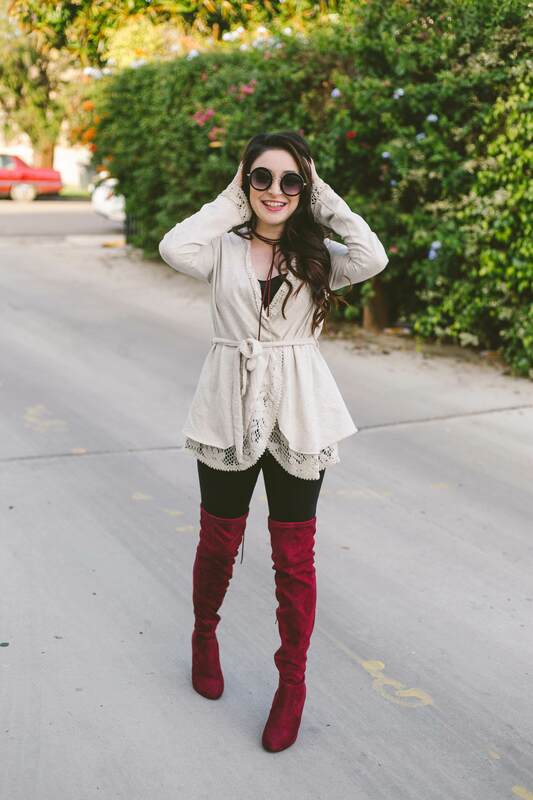 Andrew Lee is a foodie, cook, and co-owner of the LeeZy Babe Oven a San Diego based two-person business that creates personalized cakes and custom themed baked goods for various events. When he is not using science to bake, he is using science and his engineering degree to do innovative work in the San Diego Biotech Scene. He may be reached at leezybabeoven@gmail.com. 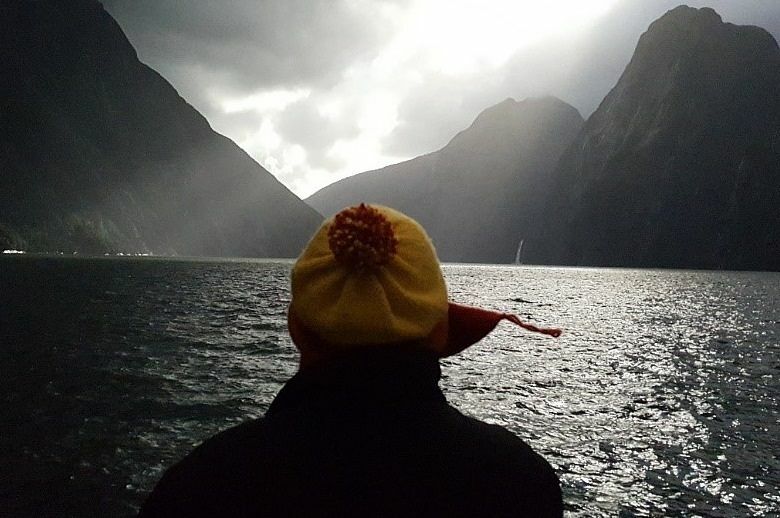 This post provides an immersive travel experience, this unique point of view enables the visitor to move vertically through four iconic New Zealand experiences. 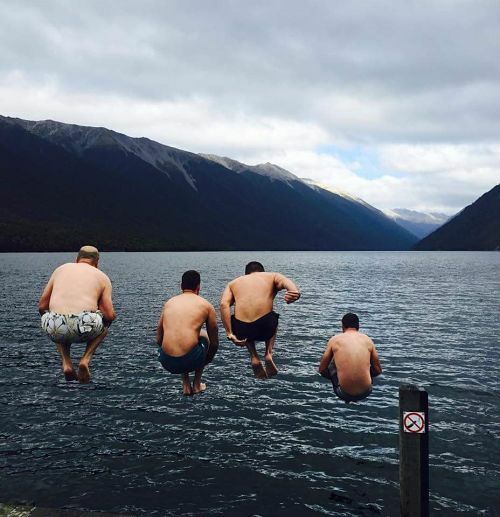 Everyone knows that New Zealand is not a 100 per cent pristine environment, but the slogan succinctly sums up the sort of experience that visitors and tourists might want and expect.